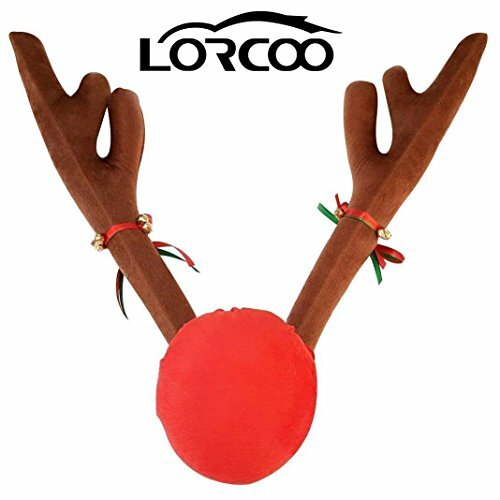 This is the Lorcoo Original Reindeer Car Costume for your Car or Truck. Each package contains Two Weather Resistant 17" Plush Fabric Antlers Decorated with Red and Green Ribbon and Jingle Bells along with a 6" Diameter Plush Red Nose. Each Antler is mounted on a Plastic Rod with molded clips which easily slip on to the vehicles window. Each Nose includes wire to attach to Vehicles grille. Installation takes a couple of minutes.